Children developing painful limp after sports activities should be evaluated for avulsion fractures of lesser trochanter with conservative treatment yielding satisfactory long term results. 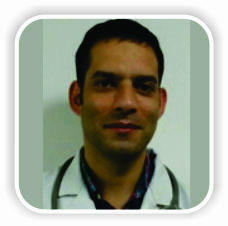 Department of Orthopedics, Government Medical College, Srinagar, Jammu and Kashmir, India. 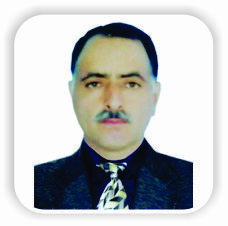 Omer Colony B, Lane 04, House no 115, Lalbazar, Srinagar – 190023, Jammu and Kashmir, India. Introduction: Adolescent apophyseal avulsion injuries related to sports is common around the pelvis and proximal femur. Amid them, avulsions of the lesser trochanter are uncommon as compared to other sites. The growth plates in children are weaker than the unossified bone and tendons to which they attach. As a result, with sudden violent muscular contraction, avulsion fracture of the apophysis occurs. The periosteum remains attached to the avulsed fragment preventing gross displacement. Treatment is usually symptomatic with good outcomes. 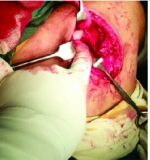 Case Series: We present a series of three cases of isolated avulsions of lesser trochanter. Patients presented with pain in groin and limp following sprinting and fall. Radiographs revealed the diagnosis, and we proceeded with conservative management in all patients since the displacement was not significant. Patients recovered fully with no long-term complaints. Indications for surgery are not well defined, and we believe conservative treatment has good functional outcomes. Conclusion: In patients with painful limp after sporting activities, there should be a high index of suspicion for avulsion fractures. Radiographs should be done, and other pathologies were excluded. Symptomatic treatment is recommended with a gradual return to sports after at least 3 months. 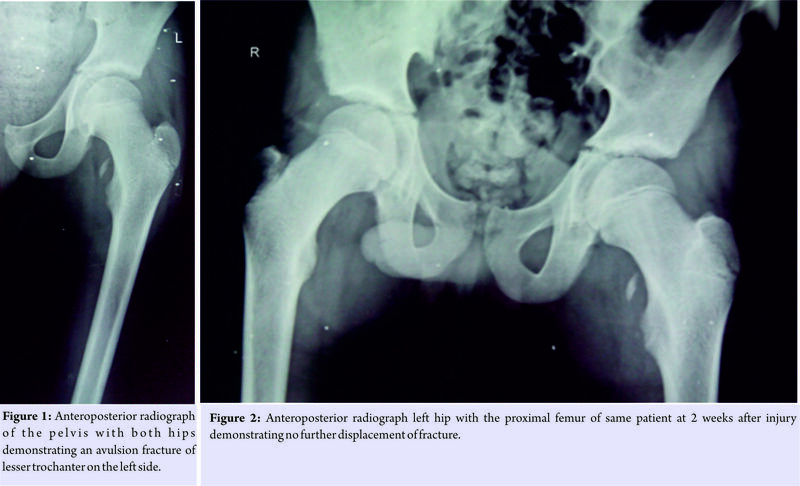 Keywords: Adolescent, apophysis, lesser trochanter, limp, sprinting. Avulsion fractures of the lesser trochanter are rare injuries in childhood, caused by sudden, forceful muscle contraction. These injuries are commonly seen in adolescents engaged in athletic activities such as sprinting, jumping, and gymnastics. The apophysis is a secondary center of ossification responsible for size and contour of the bone. It does not contribute to the length of bone but serves as an attachment for tendons or ligaments . Milch suggested the term apophysiolysis for these injuries due to their resemblance with epiphyseal injuries . As advocated by Salter , there are two types of epiphysis. The site of attachment of a muscle is traction epiphysis, and its weakest part is the epiphyseal plate. The Sharpey’s fibers that attach muscle to epiphysis are stronger than the epiphyseal plate, resulting in avulsion injuries on vigorous eccentric contraction in sporting adolescents. With increasing participation of adolescents in competitive sports, proper diagnosis and treatment of these injuries is essential for an early return to sports and to prevent long-term disability. Conservative management is the mainstay of treatment. Surgical intervention has been advocated for certain indications albeit controversial. We report three cases of isolated avulsion fractures of lesser trochanter, managed conservatively. Between 2014 and 2016, three patients of isolated avulsion fractures of lesser trochanter presented to our hospital (Table 1). All three were adolescent males, two were aged 13 years old, and one was 15 years old. Two patients had involvement of left side while running in a school sprinting competition and were unable to complete race while hearing a sudden pop at the time of injury. The other had right side involvement and sustained trauma due to fall from horse. All patients reported immediately to hospital with complaints of pain in groin, limp, and antalgic gait on presentation. General physical examination was unremarkable. There were no swelling or visible external signs of trauma in any patient. Local examination in supine position was done. Attitude of the limb revealed slight flexion and external rotation deformity. No patient could do active straight leg raise. There was tenderness around the groin and medial aspect of the upper thigh. Flexion of hip was painful, and rotations inflexion were more painful than an extension of hip. Distal neurovascular status of the limb was normal in all cases. There were no significant associated injuries in any patient. Radiographs of the pelvis with both hips revealed avulsion fractures of lesser trochanter (Fig. 1). All fractures were displaced <1.5 cm on radiographs. We did not go for further imaging studies as both the diagnosis and displacement were evident on radiographs. All patients were managed conservatively including analgesics and non-weight bearing mobilization with crutches for 2 weeks followed by partial weight bearing as tolerated. Repeat radiographs at 2 weeks revealed no further displacement of the fragment in any patient (Fig. 2). Passive mobilization of hip and muscle strengthening exercises were started once patients were pain-free after 3 weeks. All patients could bear full weight at 6 weeks. At 12 weeks, no patient had any complaint, had resumed activities of daily living, and hip flexion strength was comparable to opposite side. Isolated lesser trochanter avulsion fractures represent <1% of hip injuries. The most common locations for avulsion fractures around hip are ischial tuberosity (avulsion of Hamstrings), anterior inferior iliac spine (avulsion of Rectus femoris), and anterior superior iliac spine (avulsion of Sartorius). Rare locations are lesser trochanter, greater trochanter, and iliac crest [4, 5]. These injuries occur between 8 and 16 years of age, most commonly at 14 years . The iliopsoas muscle complex arises from lumbar vertebra and the iliac fossa of pelvis and inserts onto the lesser trochanter of femur. It is a main flexor of the hip joint. The pelvic apophysis, arising from secondary centers of ossification serves as attachment sites for muscles and tendons. In children, since the attachment sites of tendons are stronger than the growth plate, with sudden forceful contraction of the muscles, avulsion of the apophysis occurs. 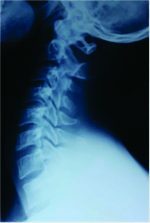 In adults, such fractures are uncommon, warranting further investigation for a metastatic bone disease . Such injuries may also result from chronic microtrauma or overuse, as in ballet dancers . McMillan et al. reported a case of sequential bilateral lesser trochanter avulsion due to seizures. There is a dearth of literature with regard to lesser trochanter avulsion in adolescents with only two large series, few case reports and series of 3–4 patients (Table 2). Dimon  in 1972 published a series of 30 patients and Good body and Sankar  in 2014 published a series of 36 patients. In both these series, all patients were managed conservatively with satisfactory results regardless of fracture displacement. The series we report is of three patients presenting with acute avulsion fractures of lesser trochanter secondary to sprinting and fall. The patients presented with painful limp, inability to do active straight leg raise, and tenderness around groin, and upper medial thigh. Radiographs were done to confirm the diagnosis, look for displacement and to rule out other causes of painful limp in adolescents. All patients were managed conservatively with analgesics, non-weight bearing mobilization and supervised rehabilitation program and had good functional outcomes consistent with the current literature [9, 11]. In equivocal cases, as in avulsion fractures of unossified bone, further investigations such as ultrasonography, computed tomography, and magnetic resonance imaging may be done to confirm diagnosis. In the presence of typical history and diagnostic radiographs, further imaging is unnecessary. In adolescents with painful limp, other differential diagnosis should be considered such as slipped capital femoral epiphysis (SCFE), Legg-Calve-Perthes disease (LCPD), and Subacute infectious arthritis. Physical examination and radiographs usually establish diagnosis in the majority of patients. If undiagnosed and left untreated, SCFE has poor prognosis with the development of avascular necrosis, chondrolysis, and early osteoarthritis of the hip joint. 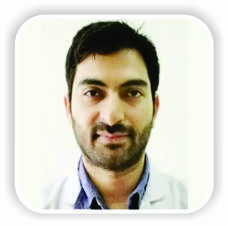 LCPD is common in lower age group of around 8 years. If properly treated, LCPD has good prognosis . Surgical management has been recommended by several authors for indications such as displacement of >2 cm, symptomatic nonunion, exostosis, and inability to return to sports . McKinney et al. classified avulsion fractures according to displacement to guide surgical decisions (Table 3). They believed symptomatic nonunions and painful exostosis should be treated operatively with excision and muscle reattachment. Khemka et al. did arthroscopic fixation of displaced lesser trochanter avulsion fractures in three patients with excellent results. They believed with conservative management; displaced fractures are more likely to go into nonunion, have reduced hip flexor muscle strength and lead to ischiofemoral impingement. Stafford and Villar  infiltrated local anesthetic around lesser trochanter and did excision later to relieve symptoms in cases of Ischiofemoral impingement secondary to avulsion fractures. Presently indications for the operative intervention of isolated, uncomplicated lesser trochanter fractures are not well defined due to good outcomes with conservative treatment. There is also the risk of damage to neurovascular structures including femoral vessels and anterior branch of the obturator nerve. We recommend symptomatic management with analgesics and non-weight bearing mobilization followed by muscle strengthening exercises. Sports activities are avoided till healing is present, which can take up to 12 weeks. Musculoskeletal injuries in children demand prompt diagnosis and treatment, to prevent long-term disability and return to contact sports. Mechanism causing avulsion fractures in adolescents also result in sprains in adults. 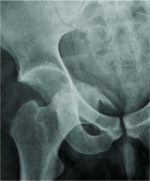 Radiographs are advocated to confirm the diagnosis and rule out other serious hip pathologies. Conservative treatment is recommended in majority of patients with limited surgical indications. Patients should be followed up to identify nonunion and exostosis which may demand surgery. In adolescents especially athletic children with a history of trauma around the hip and painful limp, radiographs should be done to diagnose the lesser trochanter fracture and rule out other conditions. Conservative treatment yields excellent results with no long-term complaints. 1. Sanders TG, Zlatkin MB. Avulsion injuries of the pelvis. Semin Musculoskelet Radiol 2008;12:42-53. 2. 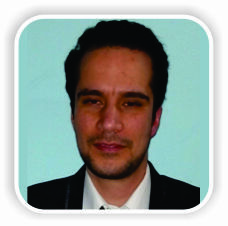 Milch H. Ischial apophysiolysis: A new syndrome. Bull Hosp Joint Dis 1953;14:188-93. 3. Salter RB. Injuries of the epiphyseal plate. Instr Course Lect 1992;41:351-9. 4. Rossi F, Dragoni S. Acute avulsion fractures of the pelvis in adolescent competitive athletes: Prevalence, location and sports distribution of 203 cases collected. Skeletal Radiol 2001;30:127-31. 5. Fernbach SK, Wilkinson RH. Avulsion injuries of the pelvis and proximal femur. AJR Am J Roentgenol 1981;137:581-4. 6. Byrne A, Reidy D. Acute groin pain in an adolescent sprinter: A case report. Int J Clin Pediatr 2012;1:46-8. 7. Phillips CD, Pope TL Jr, Jones JE, Keats TE, MacMillan RH 3rd. 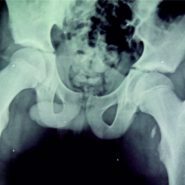 Nontraumatic avulsion of the lesser trochanter: A pathognomonic sign of metastatic disease? Skeletal Radiol 1988;17:106-10. 8. Quarrier NF, Wightman AB. A ballet dancer with chronic hip pain due to a lesser trochanter bony avulsion: The challenge of a differential diagnosis. J Orthop Sports Phys Ther 1998;28:168-73. 9. McMillan T, Rehman H, Mitchell M. Lesser trochanter avulsion fracture in an adolescent after seizure. J Emerg Med 2016;51:457-60. 10. Dimon JH 3rd. Isolated fractures of the lesser trochanter of the femur. 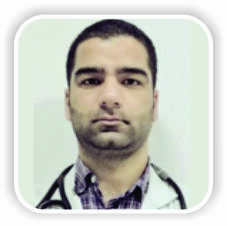 Clin Orthop Relat Res 1972;82:144-8. 12. Kocher MS, Tucker R. Pediatric athlete hip disorders. Clin Sports Med 2006;25:241-53, viii. 13. Khemka A, Raz G, Bosley B, Ludger G, Al Muderis M. Arthroscopically assisted fixation of the lesser trochanter fracture: A case series. J Hip Preserv Surg 2014;1:27-32. 14. McKinney BI, Nelson C, Carrion W. Apophyseal avulsion fractures of the hip and pelvis. Orthopedics 2009;32:42. 15. Stafford GH, Villar RN. Ischiofemoral impingement. 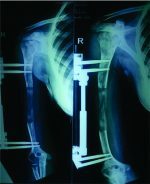 J Bone Joint Surg Br 2011;93:1300-2. 16. Metzmaker JN, Pappas AM. Avulsion fractures of the pelvis. Am J Sports Med 1985;13:349-58. 17. Theologis TN, Epps H, Latz K, Cole WG. Isolated fractures of the lesser trochanter in children. Injury 1997;28:363-4. How to Cite This Article: Tahir T, Manzoor Q W, Gul I A, Bhat S A, Kangoo K A. Isolated Avulsion Fractures of Lesser Trochanter in Adolescents – A Case Series and Brief Literature Review. Journal of Orthopaedic Case Reports 2019. Jan-Feb ; 9(1): 11-14.